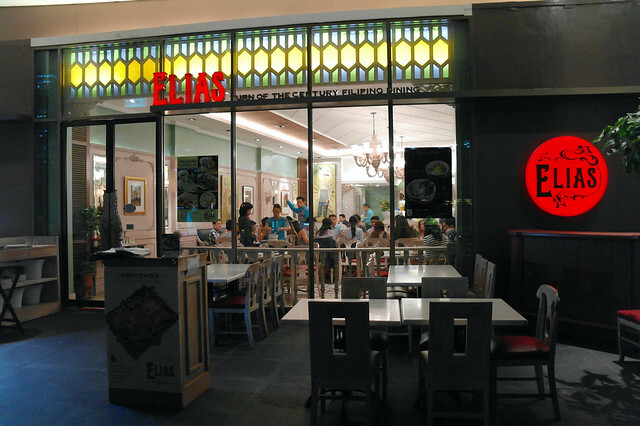 Elias is one of several restaurants by renowned chef-entrepreneur Florabel Co-Yatco, which is quite similar to another one of hers – Crisostomo, in Resorts World Manila. 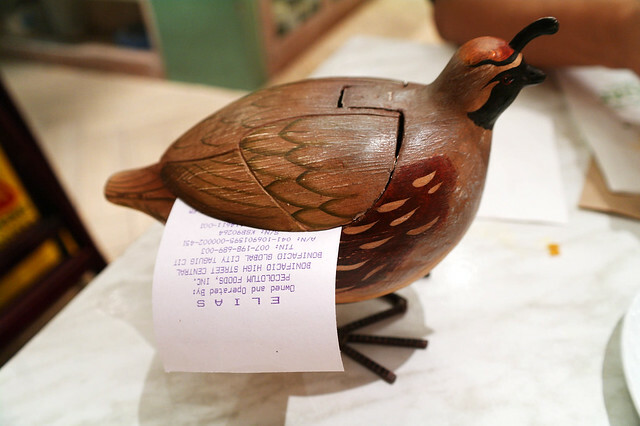 It’s pretty much the same concept for both restaurants – placing itself in the Spanish colonial period while fondly giving everything (from the food to the staff) a name drawn from Jose Rizal’s works. Try calling them for a reservation! They’ll speak to you in pure Tagalog, which actually made me stutter and second-guess my Tagalog replies the entire conversation. Haha! Pretty good crowd for a Monday night. 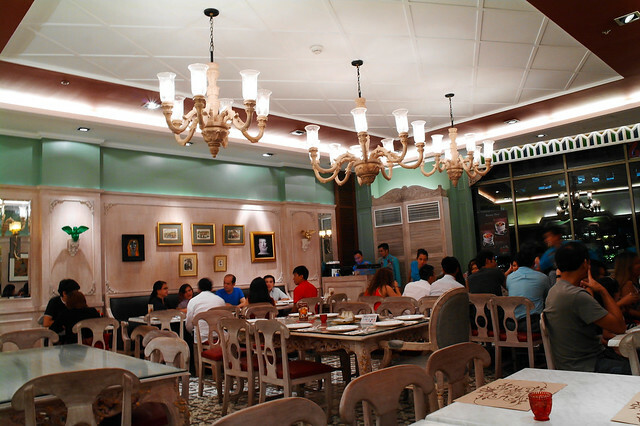 The interior does make you feel like you’re in the parlour of a traditional Filipino home during the Spanish colonial period. The restaurant is well lit, and the color palette used was easy on the eyes. 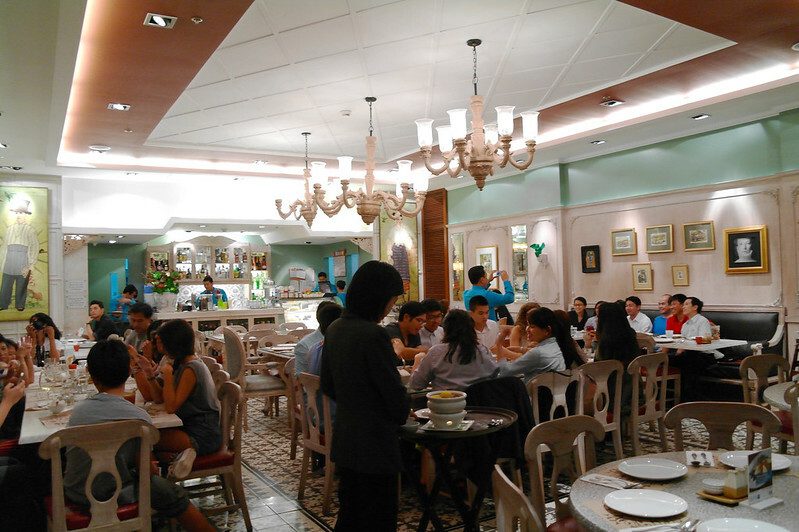 I liked that the tables were spacious too, considering Filipino food tends to take up a lot of space when served. There are extra long couches on either side of the room to accommodate big groups, and most of the tables are actually ready for at least 6 diners. View of the restaurant from our corner. As you can see, Elias is more of a big gathering for family, friends or business kind of place, so I suggest you do call ahead to make a reservation if you plan to make it a date. I guess Elias brings on a kind of Barrio Fiesta merry-making vibe to big groups, so do be ready for quite a bit of noise. They have an impressive, wide selection of wines and spirits, but for a restaurant, I think they’ve priced their alcoholic beverages too high. 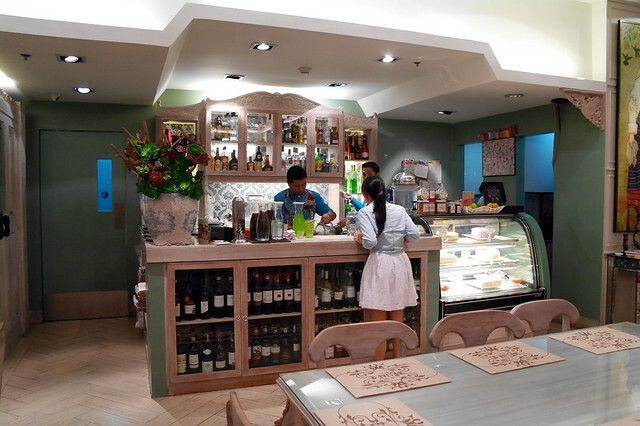 Their liquor and cocktails are at club prices, and their wines are slightly pricier than what you would pay at a real wine place like Cav or Barcino. So, I do suggest you eat here and have drinks somewhere else. The area is riddled with watering holes anyway. Hi, Mike! 🙂 They serve you a bowl of cornick once you’ve placed your orders. The server told us their Kalamansi Malunggay Juice is a best seller, so intrigued, we ordered a single glass (a bottomless option is available). 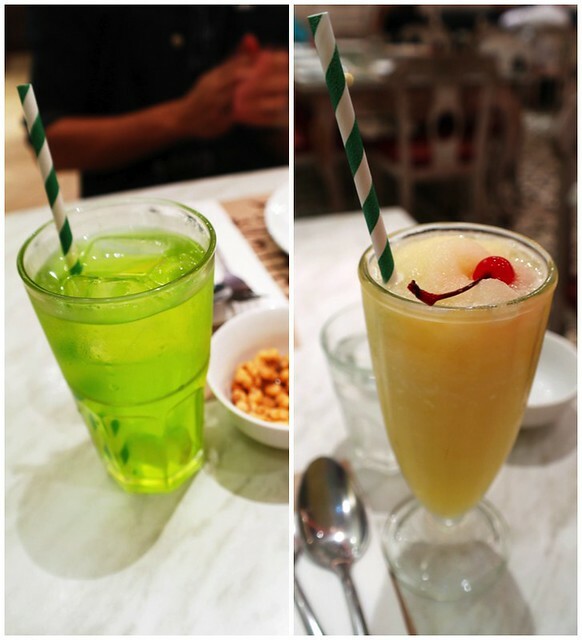 It was good – refreshing and fun to look at, but it reminded me of what you would make out of calamansi juice concentrate. A yummy choice, but not anything too special for a Php 98 drink. 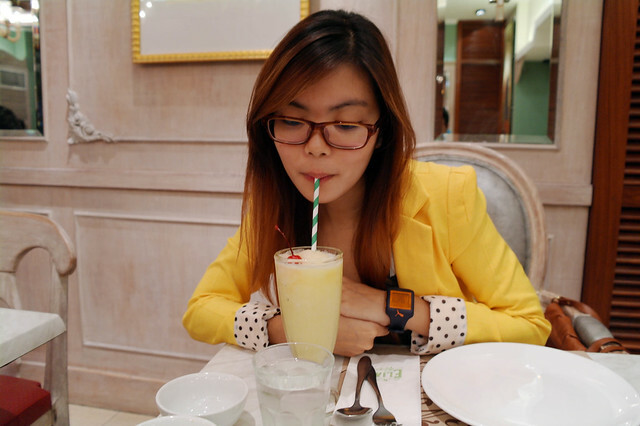 I ordered a Cantaloupe Shake (Php 160) and loved it. You could really taste the fruit, and it wasn’t too sweet. It’s a HUGE plus for me that Elias uses paper straws. Yay for the environment! Normally, Mike and I go for non-meat appetizers, so we went for the Tiago’s Triumph (Php 335), which is basically a less cheesy Oysters Rockefeller. We loved it! 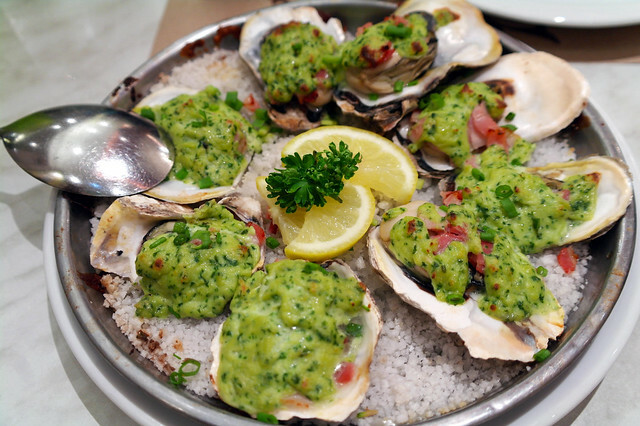 The oysters tasted so fresh and just melted in our mouths, and the spinach puree, cheese and bacon just gave it all a comfort-food feel. It’s also great that the oysters were big. Sulit! Look at that big head! 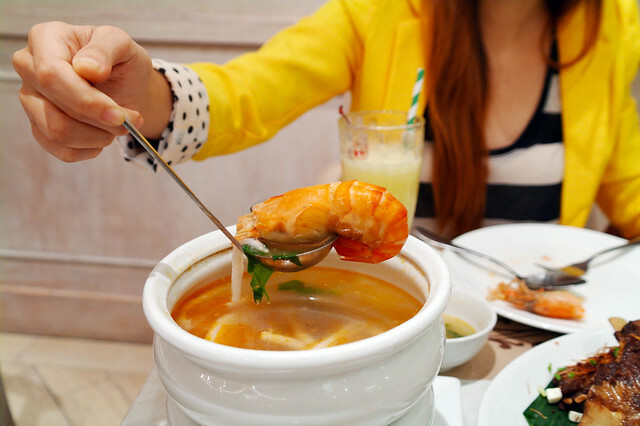 For our soup, we decided to keep it light with more seafood. 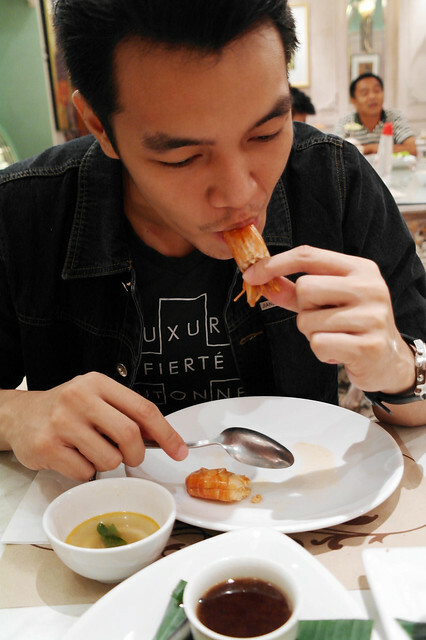 I told Mike I haven’t tried freshwater shrimp, so we decided to get the Ulang Binakol (Php 495). It was really good! Although, I was hoping for a more flavorful soup, I learned to love the delicateness of this one as I drank spoon after spoon of the broth. You can really taste the shrimp and you can actually tell the difference between this and your regular swahe from the sea. You get about 6 big shrimps (not bad! ), with their shell sliced open along the spine so it’s easy to take the shell off. 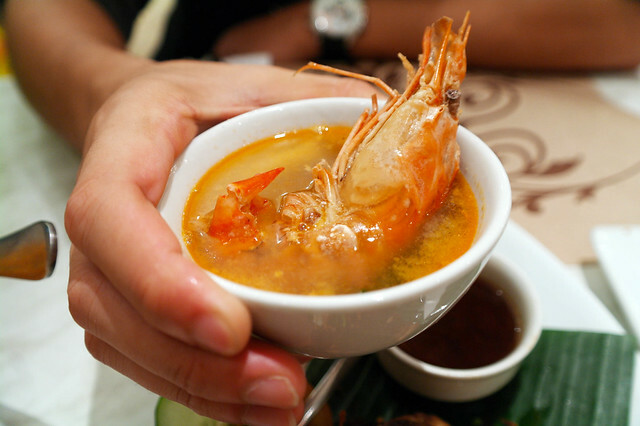 Freshwater shrimp look and taste so different. Nothing goes to waste! I don’t do this. The last time I did, I itched all over, so… you go ahead and enjoy, Mike. Apparently, we had a seafood fixation that night. Tada! 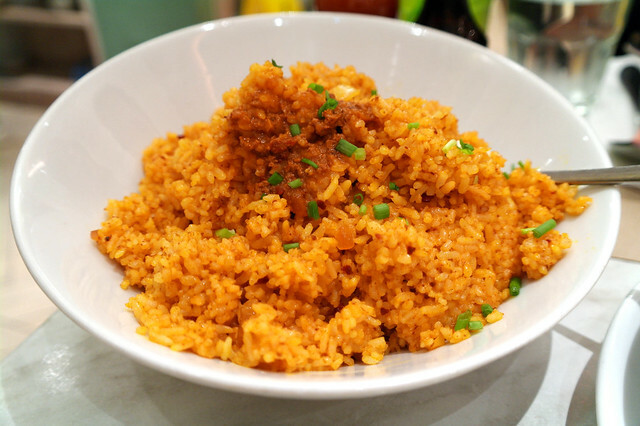 Taba ng Talangka Rice (Php 365) We figured we just stick to ordering things that are out of the ordinary. 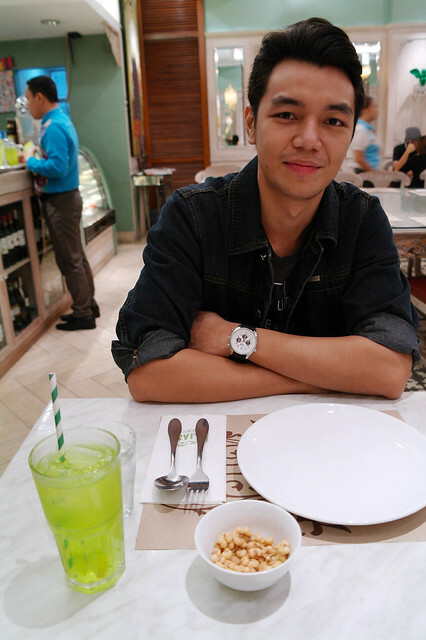 We’re in food tripping mode anyway. NO REGRETS! It tasted so good, and the serving size was good for 4-5. Although, since Mike and I don’t eat much rice to begin with, we barely made a dent. But had it been we didn’t have a care in the world, we’d scarf this whole bowl down. Yeah, that good. Mike and I love lamb anything, so even though the description said it’s cooked Adobo style, Cordero (Php 395) surpassed my expectations for an Adobo dish. All four short ribs were cooked to perfection! 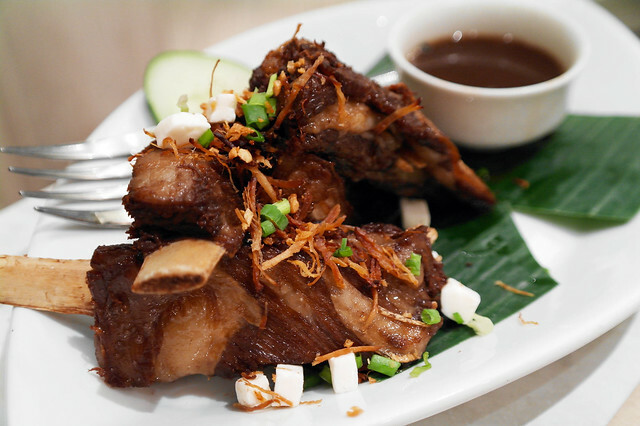 The meat, without the separate Adobo sauce, can stand alone – which is impressive. I was worried the rice would clash with or overpower the lamb, but it turned out to be – in Mike’s words – “a perfect marriage”. The serving size is good for 2, but I brought some home so my folks could taste it. Reheated and everything, they loved it too! If there’s anything I’d recommend from Elias, it’s the Cordero. For dessert, we wanted something creamy but light. Oh, and Mike’s an ice cream fiend so we ordered the Isabel (Php 180). It was enjoyable enough, but the experience was more like eating empty turon ala mode. 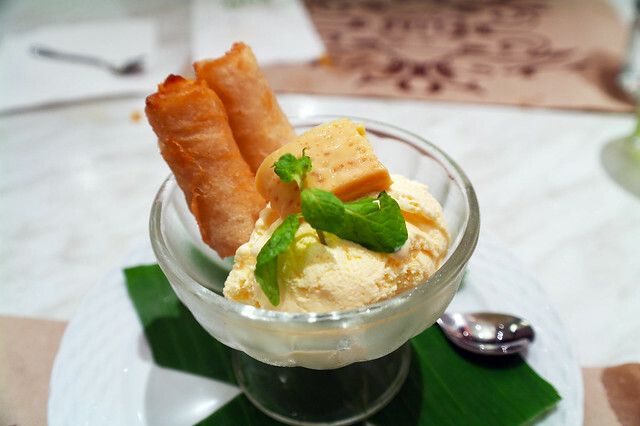 They should really fill those spring rolls with more leche flan. Overall, Mike and I had a good dinner at Elias. 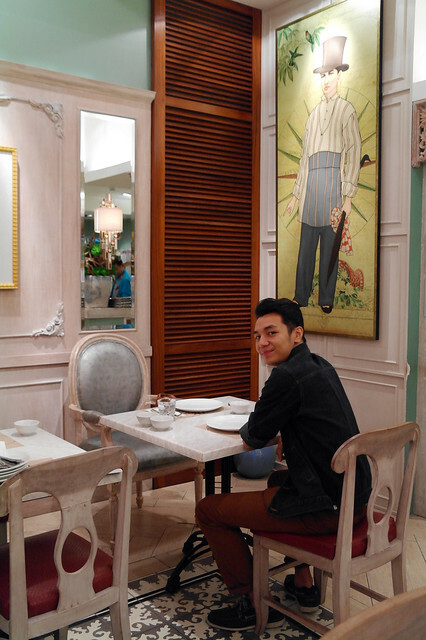 The staff was pleasant, the place was pretty and relaxing enough despite the bad acoustics, and the food was great! The food we ordered was actually too much for 2 people, so budget-wise, I’d say it’s in between just right and splurge at about P500-800 per head. I definitely recommend the Cordero, and any of their oyster variants. P.S. I really do wish I was able to try more than just Tiago’s Triumph out of their selection of oyster dishes! If you have, do comment down below and tell me how you found it. 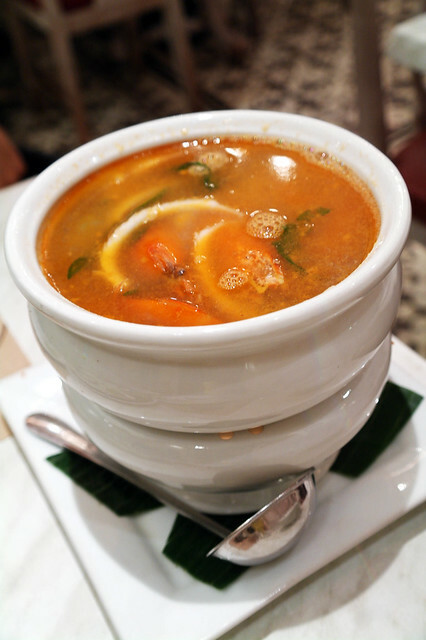 Tags: Adobo, Filipino, Lamb, Manila, Oysters Rockefeller, Philippine cuisine, Restaurant, Review. Bookmark the permalink.